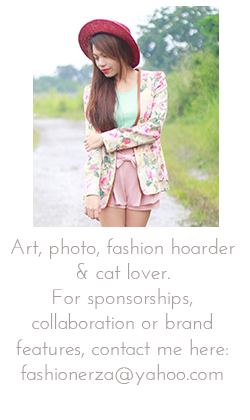 THE FASHION HOARDER: draping, styling, designing & sewing - all home made! draping, styling, designing & sewing - all home made! This Fashion Design Portfolio is designed as a promotional tool for my online shop http://www.facebook.com/rairaicouture. I made this couture to share my life, my own creations and my passion. As a Canvas Designer/Merchandiser, I realized that It's hard to align your dreams with your passion & talents - That's when I graduated in college. I really dreamed of becoming a fashion designer, go to a fashion industry school and will set up a Fashion Boutique after. Since I'm in the field of marketing for making tarpaulin tent, canopy, canvas & etc, Most of my day was spent at the office reading magazines, sketching/fashion designing, sewing using the "upholstery sewing machine"! That freakn machine skips stitches!! These things happen to the best of my works from time to time, and I rarely have great sewing moments :( ..but being in this field is not a tough job, I enjoy every single moment though. "HAPPINESS IS A CHOICE, AND I'VE CHOSEN TO BE HAPPY".